How confident are you in Case Keenum in the playoffs? How much do you trust Case Keenum in the playoffs? Re: How confident are you in Case Keenum in the playoffs? The issue is that Keenum very often will misdiagnose who is open — throwing to receivers well covered instead of open players — or misdiagnose who his first read should be. Very often, he will throw to a route designed to beat man coverage when the defense shows zone — even though the other side of the field has routes meant to beat that coverage. That’s the precise problem with his near-interception against the Bengals up above as well as the final Green Bay example. There are a number of very good defenses in the NFC playoffs, and four of the Vikings’ five potential opponents are top eight in Football Outsiders’ defensive DVOA. These defenses are unlikely to make the kinds of mistakes that allow quarterbacks to get away with missing finite opportunities or turnover-worthy throws. My iiggest concern with him is more with play calling. I get that he has missed open receivers but on the other hand, he isn't careless with the ball. He is a better QB when he can select up in the pocket rather than to the side, unless it's a designed roll out. The thing I dislike about his articles is he is a Stat Whore. You can get stats to show anything you you want. Case needs to play better, but hoping a healthy offense line will help him out. He doesn't hate Case Keenum (yes, he doesn't like Wentz and has acknowledged he had a good year before the ACL). He's said that many times. Evaluating a guy's play doesn't mean he hates them. What in his article do you disagree with? The thing I dislike about his articles is he is a Stat Whore. He certainly loves his stats. I've never cared for his approach to analysis. Ahem... sorry, that's not really the subject of this thread. I'm 100% confident in Keenum's ability to continue playing at the level he's played at thus far. In another words, yes, he may throw a near pick (or even a pick) but overall, I think he'll show good escapability, play smart, resourceful football and help direct a balanced offense that can sustain and finish drives. I don't think he's likely to carry the team to victory on his shoulders or cost them a game on his own. 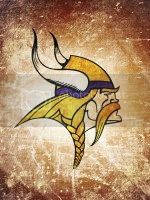 Honestly, I think the Vikes will live and die primarily on the performance of their defense and, to a lesser extent, their OL in the postseason. Their running game is as important to their offensive success as Keenum's passing (thus my comment about the OL) and they're built to win by sustaining long drives and playing stifling defense. Keenum has earned my confidence in him. 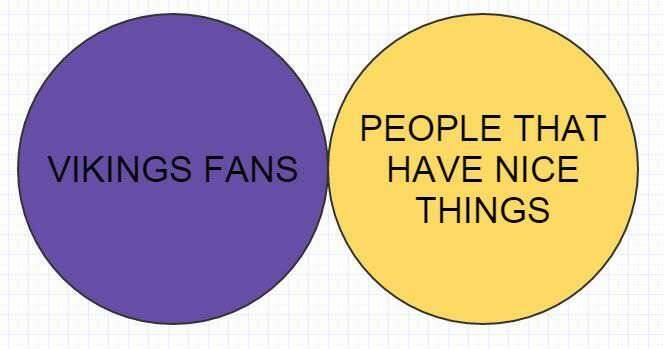 Playoffs or not...If he has a bad game, it's not like I'm going to be saying, "man, they should've just started Teddy or Bradford." Obviously something like that would be strong on hindsight, but what have we seen that suggests Case can't be a serviceable, at the least, playoff quarterback? He's not perfect, but he might just be perfect for this team and this run, even if it's only for this season. As long as the offense doesn't put the defense in bad position I think they will have a great chance to win. Case hasn't done that very often this year. He just needs to play within himself. dead_poet wrote: He doesn't hate Case Keenum (yes, he doesn't like Wentz and has acknowledged he had a good year before the ACL). He's said that many times. Evaluating a guy's play doesn't mean he hates them. Go look at his tweets on Keenum, the other week his tweeter profile pic was Teddy. Keenum got us to where we are now. We need to ride it out. halfgiz wrote: Keenum got us to where we are now. We need to ride it out. I'm not saying we make a switch at QB. I'm just nervous that our weakest link on offense might be QB. And that scares the dickens out of me. Im about 75% confident in Keenums skills and abilities as a quarterback, he has had some great games and a few duds that were covered up by the rest of the team. I am 100% confident in Keenums heart and determination to win! One of his talking points is YAC. So I posted this on another forum that discussed the same article. So, 1,158 yards(26.7%) of Drew Brees 4,334 yards of passing goes to two players running after they caught the ball. Anyone have a story talking about Brees being a paper tiger? Or for that matter Ben Roethlisberger? This is Keenum's moment. He's gonna shock some people and be a very rich fella next year. I'm fully confident he can manage the game, which is all I think he needs to do. Especially with the O-line starters back (sans Easton). His deep ball needs work but he's phenomenal at escaping and improvising. 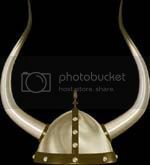 For me, I don't really care how he did or what his stats were prior to being a Viking. My opinion is from what he's done with this team. Case is a wizard at feeling pressure and extending plays. I love the way he's always looking downfield. I love his passion, his attitude, his humility. The only knock I have against him is his ball placement on the deep ball. If Case can lead his receivers better and hit them in stride, this team would be almost unstoppable. If case does this along with hitting that wide open receiver, the Vikings would be unstoppable. The other thing I noticed lately is I believe the coach staff is telling Case not to force anything. He's been a gunslinger this season but not so much in recent games. Instead, he's been more hesitant and has been holding on to the ball and throwing it away more. I guess I wouldn't blame Zimmer with how the defense and the punting team has been playing.